After a long couple of days at the PGA Show, the time had finally come. Our bags were packed, the Uber was on its way, and we were headed for a golfing experience that I was beyond excited about. As we pulled up to the course, our patients to get out of the car had reached a peak. This was not because our driver was a conversationalist to the extreme. It was more so that the hype on social media seemed to be real. Winter Park Golf Course had some incredible vibes at first site and we could not wait to dive in. After paying our $21.00 greens fee, we were off. With heavy legs and tired eyes from 20,000+ step days on the convention floor and no sleep, we ripped our first tee shots feeling refreshed again. Over the next hour and a half, I would become inspired by everything that was Winter Park. From the phenomenal green complexes that challenged every short game shot and putt, to the putting course that was packed with people just hanging out, the entirety of the experience was perfect. To sum it up, your time in the sun walking through a small town outside of Orlando is pure fun. And at its core, that’s what golf is all about. 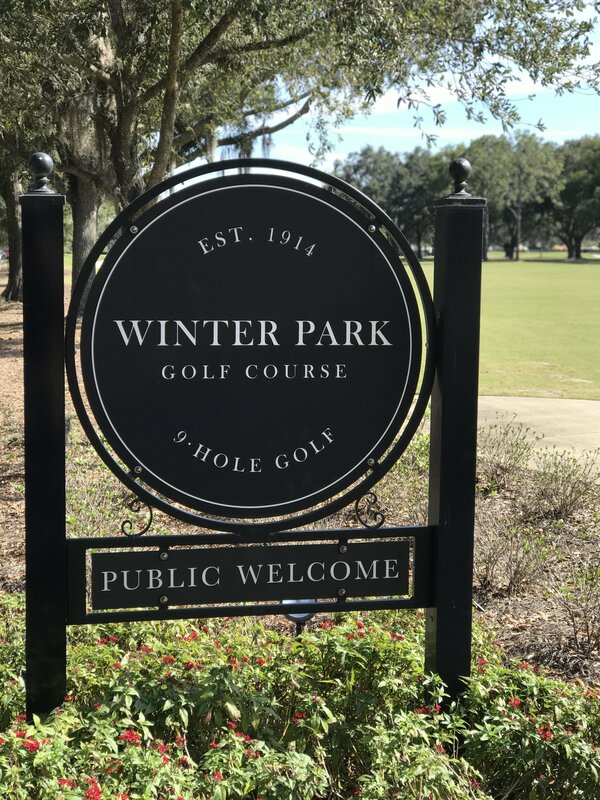 Winter Park has been written about a lot over the past year or so by better scribes then myself, but after looping it for an entire day, I had to say my piece. I live in Charlotte, NC where we have a local muni, Charles L. Sifford Golf Course, that gets a lot of play. As it is five minutes from my apartment, I try and get out there as much as I can. The facility is fantastic. We have a driving range, a sprawling chipping area and putting green, and a First Tee learning center to get kids into the game. One of my favorite post-work activities. The chipping green at Charles L. Sifford looking out at the city of Charlotte. But after playing Winter Park, there is something missing. And that is a diverse challenge for players of all abilities while being more of a community hub than just a golf course. For the beginner, the layout at Sifford is great. Relatively wide fairways with simple greens provide a perfect setting to develop your game. 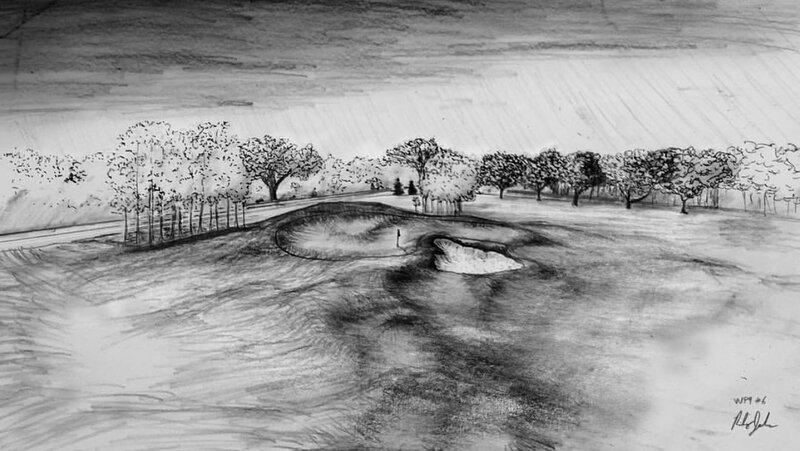 But for the more advanced player, the course can become mundane. Long iron and a flip wedge on repeat to a simple, flat, and slow green gets boring. Winter Park was the exact opposite. Although it is a short course tapping out at 2470 yards, the beginner and expert can find the challenge worthwhile. THE GREENS: After talking with Riley Johns and Keith Rhebb, the masterminds behind the renovation, the green complexes, and surrounding areas were the instrumental piece of the design. With a short course, there are only so many factors that can defend against the talented player. At Winter Park, each green complex executed this role to perfection. On top of making you think off the tee, missing the green in the wrong spot was a penalty in itself. Throughout the day, I found myself looking at challenging chip shots that required precise placement to get close to the pin. The Tee Shots: As I mentioned before, what bothers me about our local muni is that you can bomb driver on most par 4’s because being greenside is not a challenge. A simple chip will have you next to the hole. This was not the case at Winter Park. Trying to reach their short par 4’s was very much risk/reward as a miss on the short side of the hole lead to a tough par and more likely a bogey. So the option to lay up on a 300-yard par 4 was a temptation instead of an afterthought. The Culture: After leaving the course for your first time, it’s hard for any golfer not be in a state of bliss. 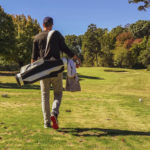 From the gentleman cooking hot dogs outside the clubhouse to the cheap beers and not uncommon sevensome walking the fairways, it’s recreational golf at it’s finest. You feel just as welcomed wearing a t-shirt and jeans as you do in a polo and golf pants. And the best part, on Friday afternoons, Matt Ginella of the Golf Channel host a skins game with a twenty dollar buy in. We were lucky enough to get a spot in the friendly competition and I have to say it is the most fun I have had playing golf in a long time. All in all, the culture of Winter Park is infectious. 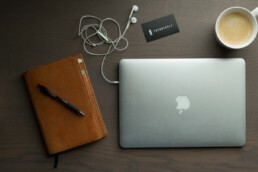 One day spent there will have you dreaming of a similar set up in your own city for the ideal post-work or weekend activity. Why do people who aren’t necessarily into golf like Top Golf? Because it’s different than your standard social event of just going to a bar or a restaurant. It’s a social experience around the activity of hitting a golf ball. It’s inviting, quick, and makes the game fun for the non-golfer. You can meet friends for a few hours, have some drinks, a bite to eat and leave with a smile on your face. But from here, the new golfer has to take a big leap to get more immersed in the sport. Generally, the next step would be to book a tee time at a public course that can be expensive and very slow to play. And this can be intimidating. Instead, what if there was a place that replicated this feeling and gave the person a chance to play actual golf in a fun, inviting way. Where there was no dress code and just as many people hanging out at the practice areas having a drink after work playing some games with their friends as there were on the course. A place that felt more like a community epicenter with a social environment that just so happened to be at a golf course. 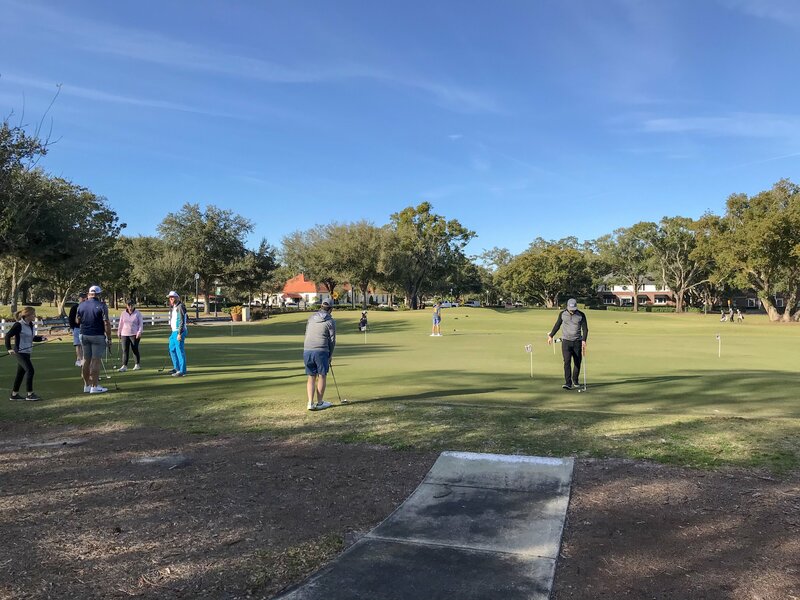 People enjoying a sunny afternoon on Winter Park’s putting course. This is what Winter Park felt like and in my opinion, is what recreational golf should be all about. 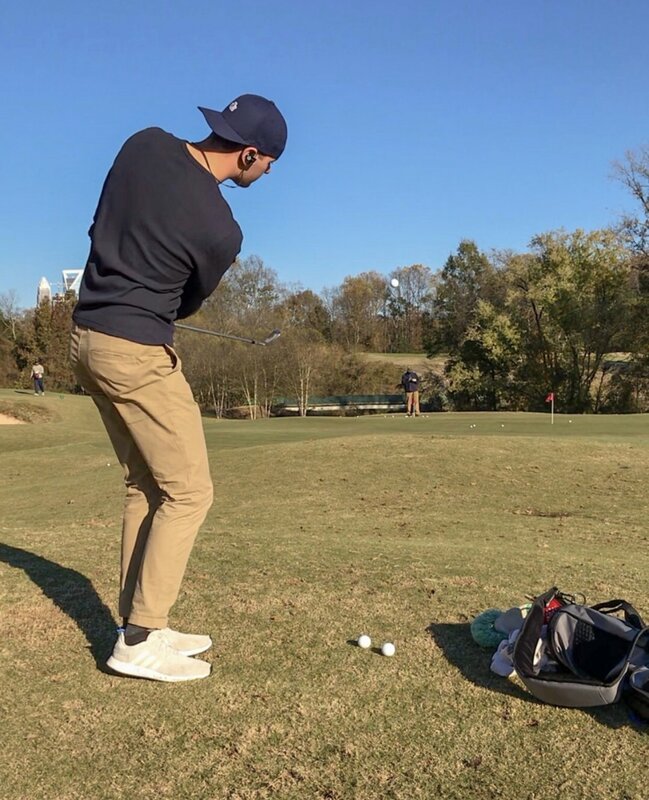 Not only would it get time-crunched working professionals into the game giving a Top Golf like social event, but also would allow the avid golfer a cheap, fun way to keep their game sharp on a well-designed course. And the proof of concept is there. 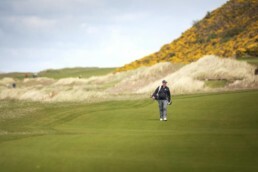 Prior to the renovation by Johns and Rhebb, the course was losing money. Now, it is making money and is consistenly packed with players of all ages. 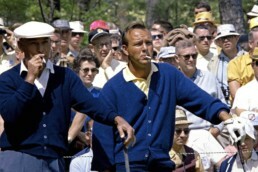 For ourselves, in Charlotte, we have the perfect layout in Charles L. Sifford Golf Course to replicate this experience. And if I had to guess, most of you can think of a place similar in your city as well.